Kicked out of group stage. Cerezo concedes 3 goals to the overwhelming Guangzhou Evergrande. Cerezo faced Guangzhou Evergrande FC in the final game of group stage in the AFC Champions League after two days interval from the 5th consecutive win at the 8th game in the J 1 League. After consideration of all the factors, such as an away game and the players' condition, Manager Yoon did not pick the same starting members who fought against Tokyo FC, despite of a crucial battle to direct their fate; whether going to quarter-final or not. 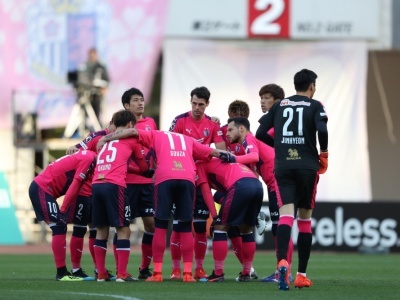 Cerezo predicted that the opponents would put out offensive side from kick-off. 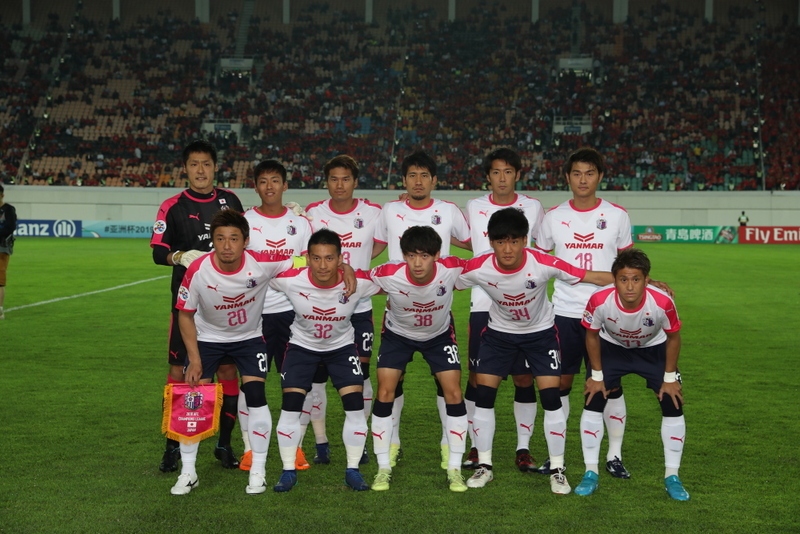 "Fight with patience and perseverance" were Yoon’s words to the team, and was the shared theme of the game for Cerezo. After training the day before the game, many players commented " we need to hold our nerves so that our strength will not be taken away by the vibe of stadium" However, the pressure was far beyond expectation. On the 6th minute, Ricaldo Goulart who received a ball in center half, dribbled to the left channel and flew it to the front of the goal post. Huang Bowen met the ball wit his shot to hit the net. Cerezo conceded the opening goal. On the 10th minute, Cerezo immediately leveled with the other side. Fukumitsu got the ball from Hiroto Yamada's though pass, and faced one on one with the Guangzhou's goalkeeper, but managed to shoot into the net calmly. Later on, the opponents continued to dominate possession. Cerezo could not close down the continuous Guangzhou's attacks, which created dangerous situations many times. 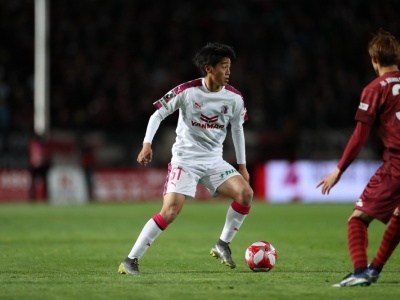 Kakeru Funaki and Eiichi Katayama fought tooth and nail to block them with the spirit of “Never give them any chance!” In the last part of the first half, big chances arrived for Cerezo in a row. On the 40th minute, Yamada met a pass from Yan Dong Hyun and faced one on one with the Guangzhou's goalkeeper, but it was saved. On the 44the minute, Yang Dong Hyun met a long through ball from Katayama with header, but it hit the crossbar. Before half-time, Cerezo gradually got back on their track before the break finished with a 1-1 draw. In the second half, Guangzhou dominated possession again. Their supporters filled the stadium and cheered the home team keenly every time it went right. With patience, Cerezo sought to go through the hardship without any damage, however, on the 57th minute, the opponents took a chance, a corner kick, to score a goal. Allan shot the ball from a close range. At this point, Cerezo needed to 2 goals to reach the quarterfinal. On the 65th minute, Atomu Tanaka was struck down inside box by the Guangzhou's goalkeeper, but a whistle did not blow. On the 75th minute, Rei Yonezawa made a debut in a top team, as a substitute for Yamada. Late on, Cerezo continued to create chances with Funaki's corner kick and a free kick, which threatened the opponents. On the 86th minute, Atomu Tanaka sent in a curling shot but it went wide to the right side of the post. Shortly afterwards, Allan slashed Cerezo with a winning goal. After Buriram beat Jeju, Cerezo dropped down to 3rd in group G. Cerezo were kicked out of the AFC Champions League.